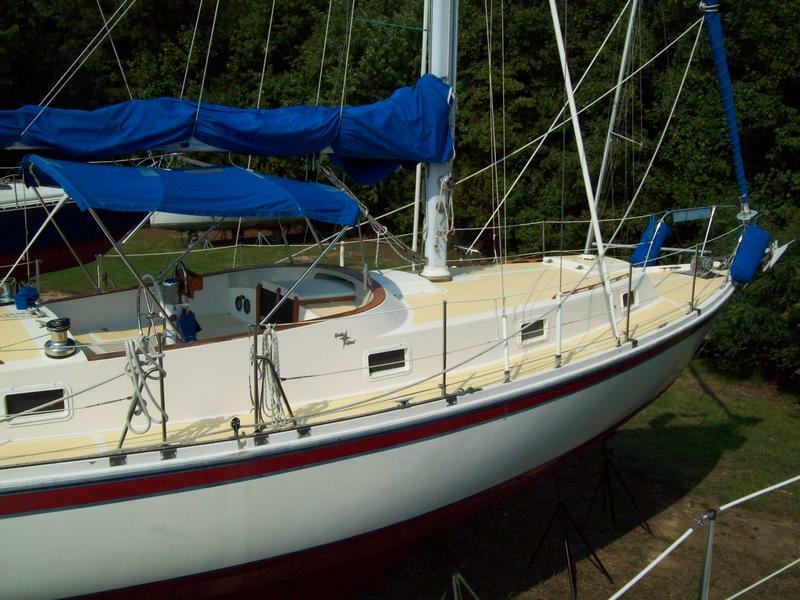 Well built cruiser with great reputation as a comfortable cruiser/liveaboard. Center cockpit with large aft cabin. 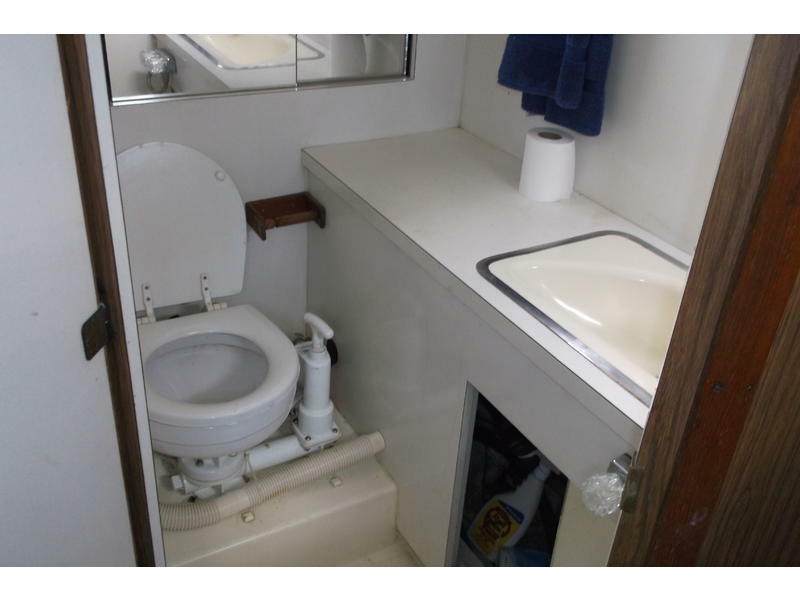 This boat has the advantage of 2 full heads. She is clean and has been updated over the years. New Velvet drive transmission 2012- New, shaft log, cutlass bearing and shaft. 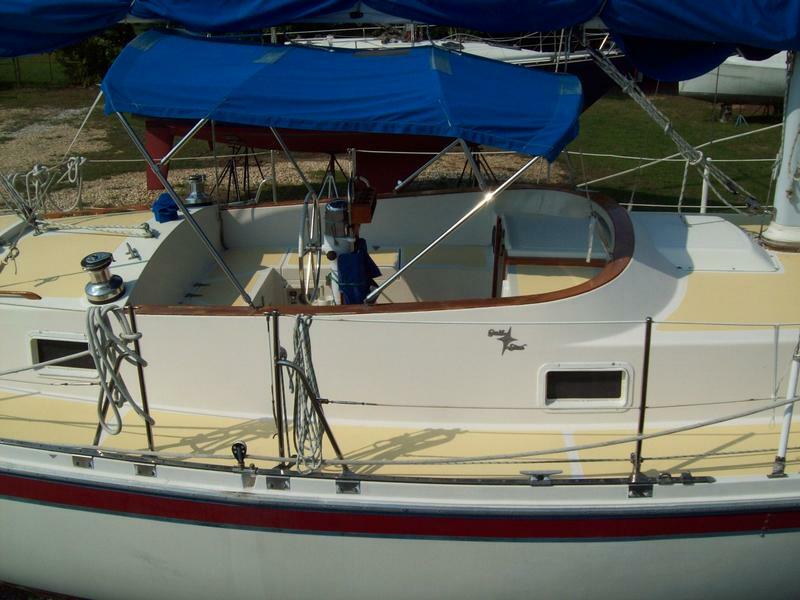 New fresh water pump, new bilge pumps and switch. Most DC wiring new. A/C panel recent. Bottom just painted with Micron CSC ablative, non skid deck just refinished. 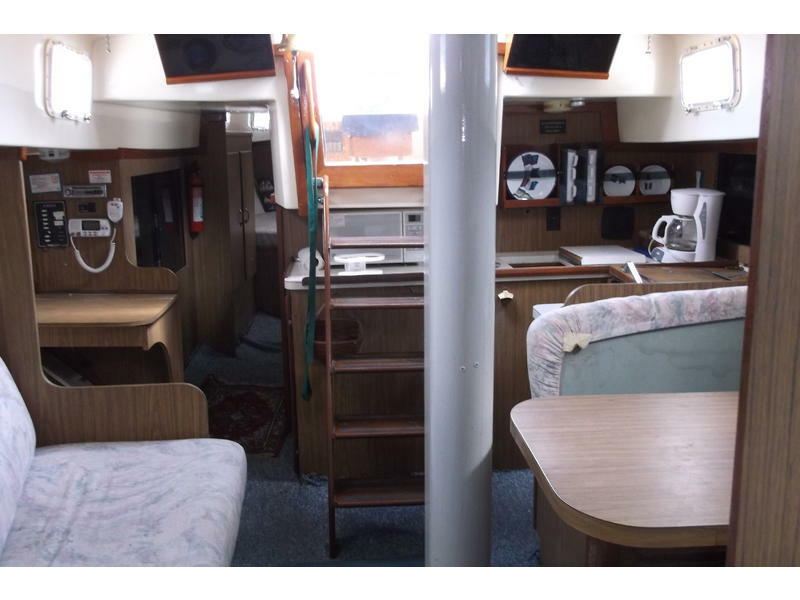 (yes it has a few soft spots of course) This huge aft cabin cruiser/liveaboard boat is a steal:) price is firm so no delays with haggling. 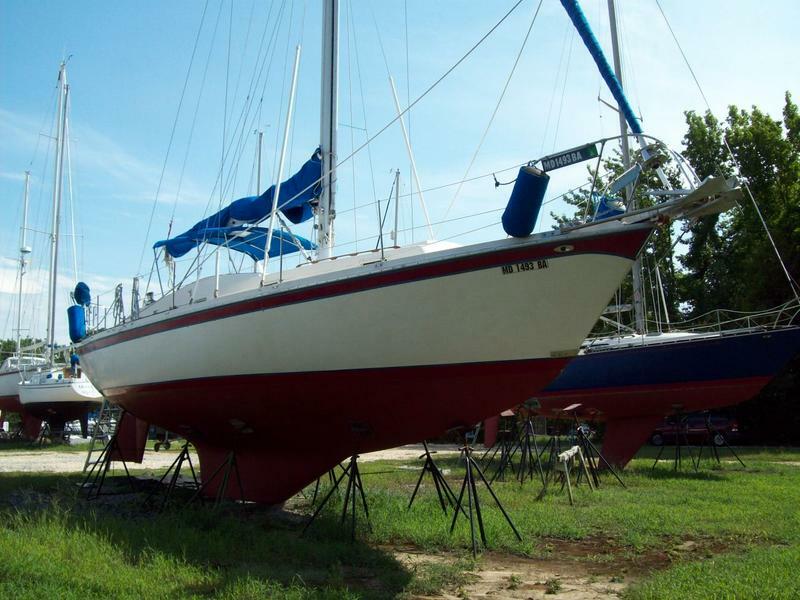 Book value is over $40K; owner has moved up and wants a fast clean sale. Now on land near Annapolis, Maryland with launch prepaid. 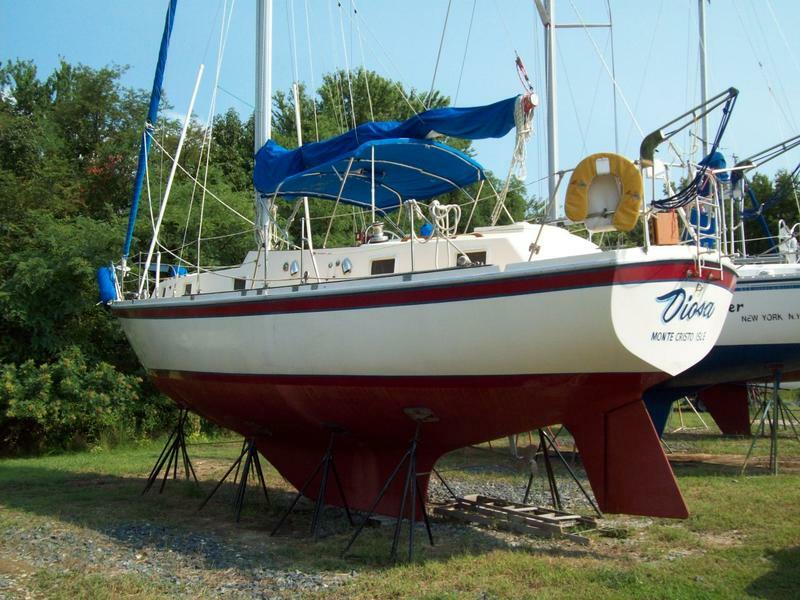 Nice boat ready to sail now or store with us thru winter at discount rate.